Some of the sculptures were carved by sculptors in Zimbabwe, so that they have a center of gravity too high above the base of the statue, and they are not therefore sufficiently stable just by placing them on furniture, shelf or directly on the floor. The risk of accidentally dropping sculptures increases in households with small children or pets. 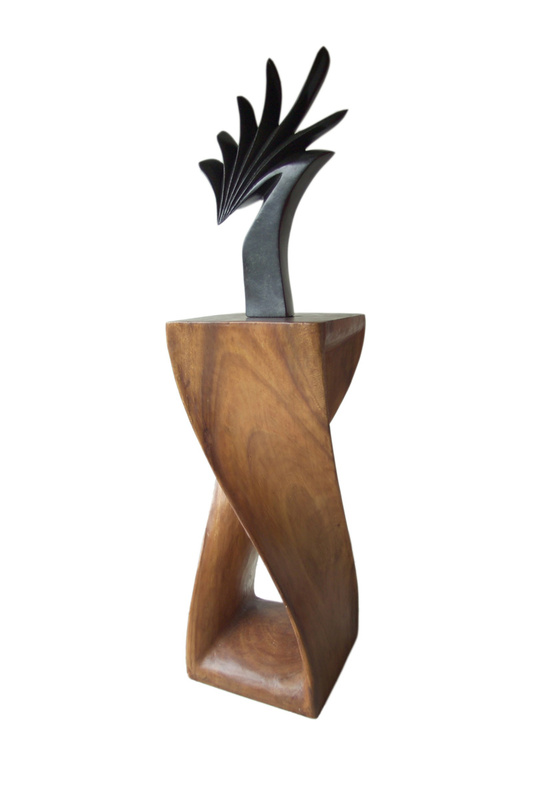 We therefore deliver sculptures weighing less than 50 kg on a square or rectangular base made of oak or beech boards. This kind of base provides sculpture with sufficient stability against accidental fall. Heavier sculptures typically require individual installation and fixation. The base is fixed to the sculptures by a screw. The base can always be removed and replaced with another base or the statue can later be installed in a permanent manner, such as by sticking. 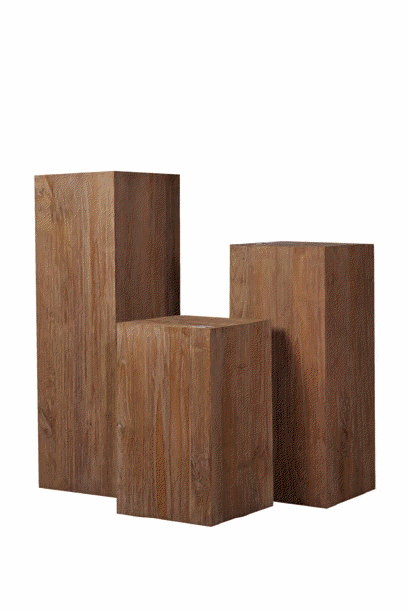 The surface of the wooden base is treated with colorless or dark brown wax on wood. This wax finish is not suitable for wet environments, such as a bathroom. Zimbabwean sculptors are usually carved so that they are intended to be viewed from all angles. By placing sculptors close to a wall or in a corner, they can lose some of their „faces“. If your interior allows, it is suitable to place a sculpture on a pedestal, base, or a little table standing freely in a space. Such placing of sculptures was common in the interiors before the Second World War or even in older interiors. Even today, you can find very nice pedestals or small tables in antique shops. 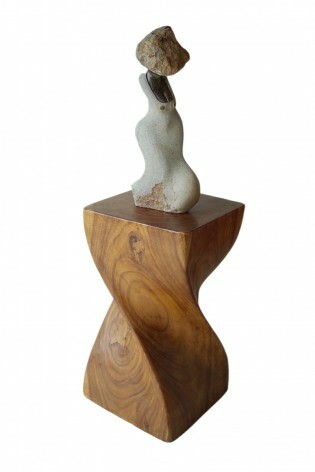 An antique pedestal and a piece of modern sculpture can create in the interior an impressive solitaire. A modern pedestal and replicas of old ones is of course possible to order. It all depends on your taste and on your decision of what area you make available for the sculpture in your interior.